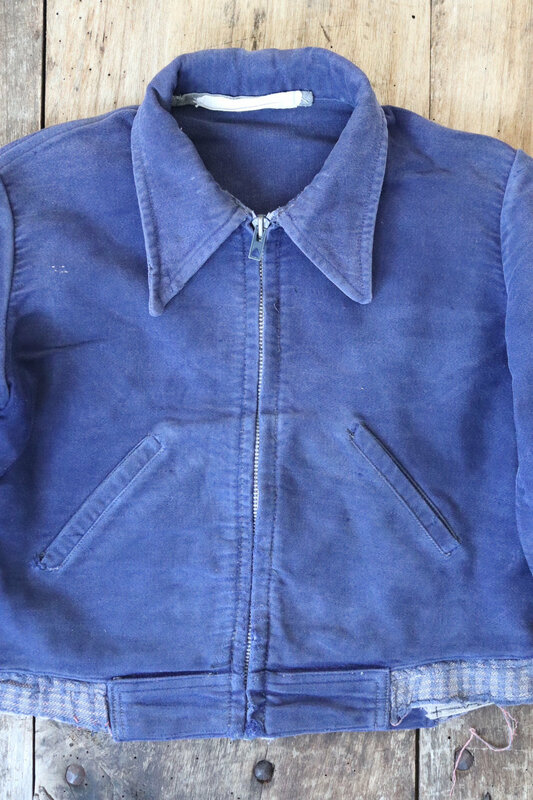 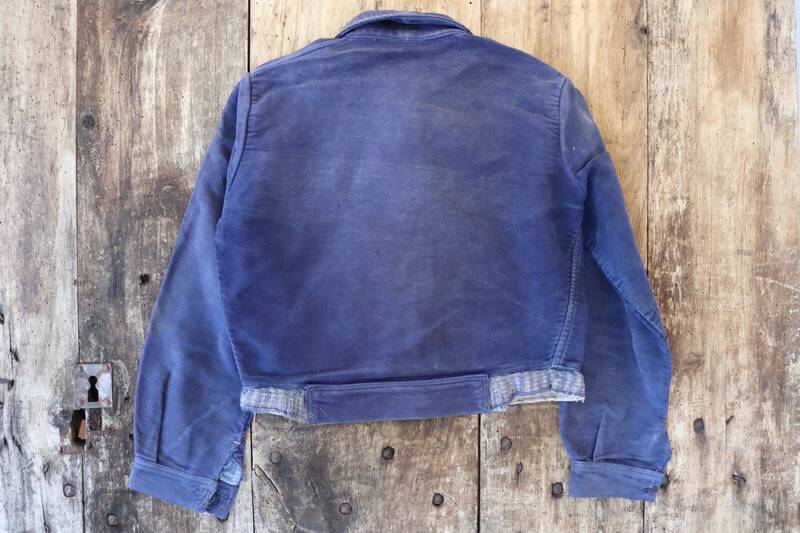 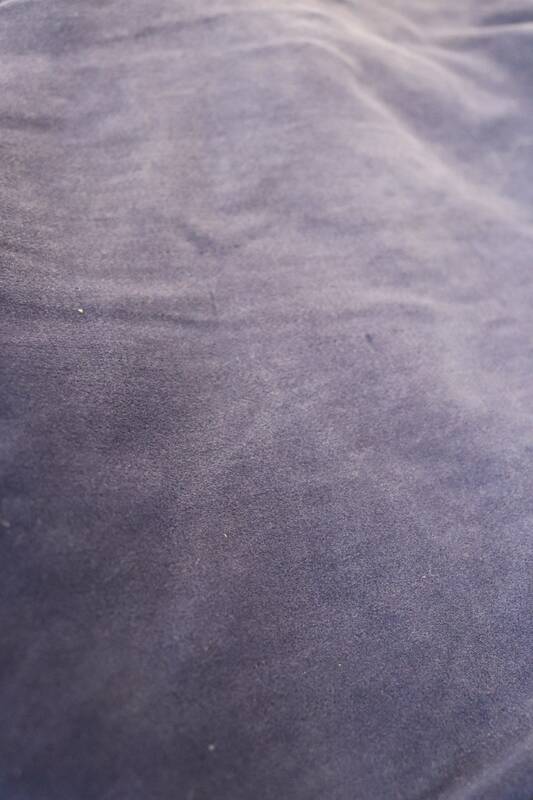 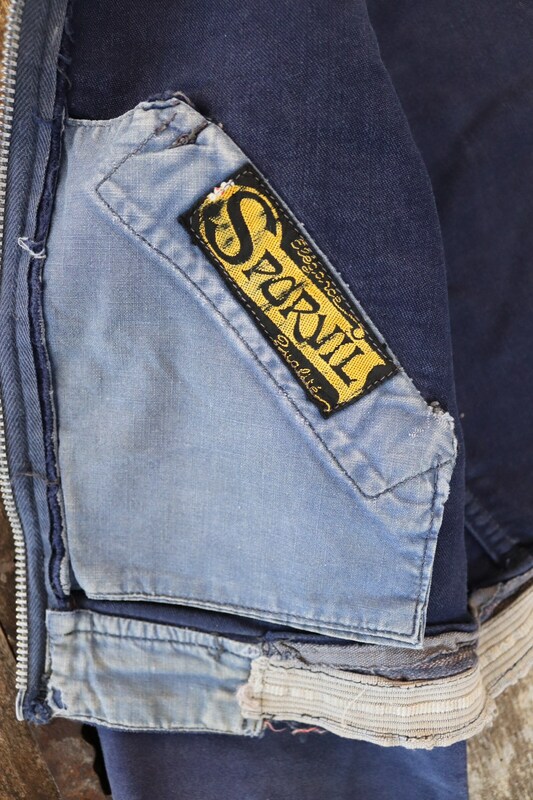 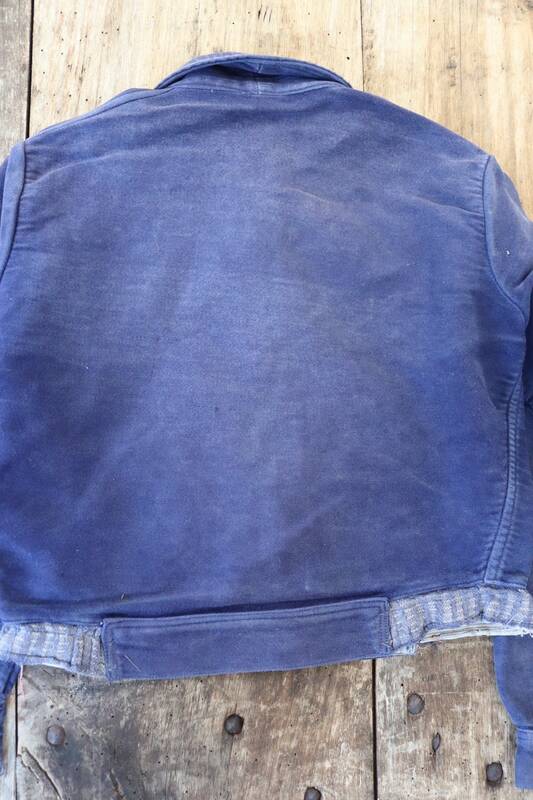 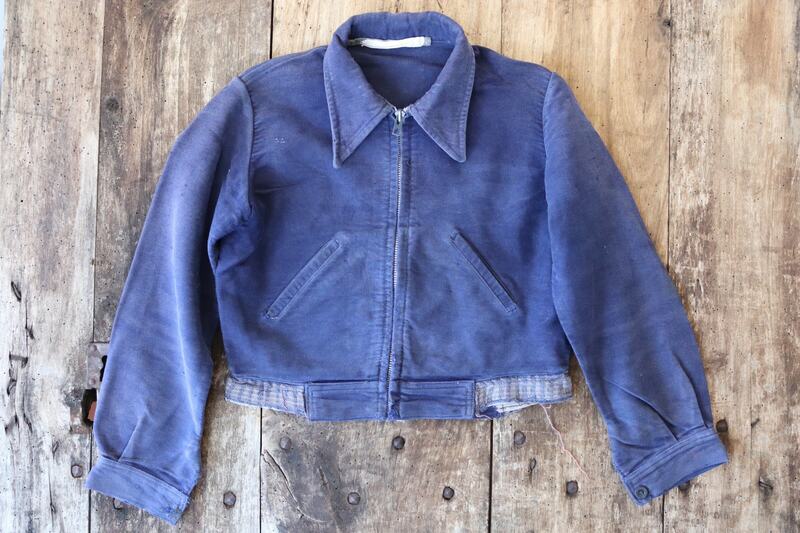 A deep blue French moleskin kids' jacket dating from the 1940s. 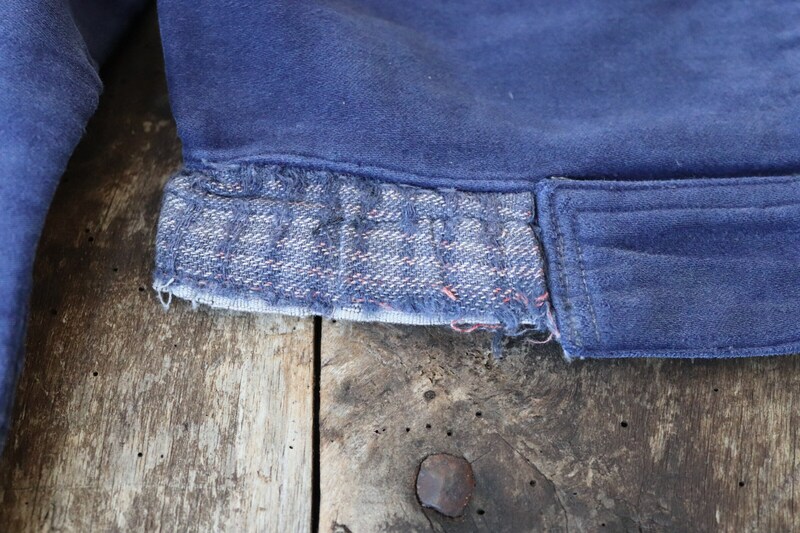 Noted flaws - loss of stretch to the elasticated waist, some marking down the outer edges of the arms - please see photos. 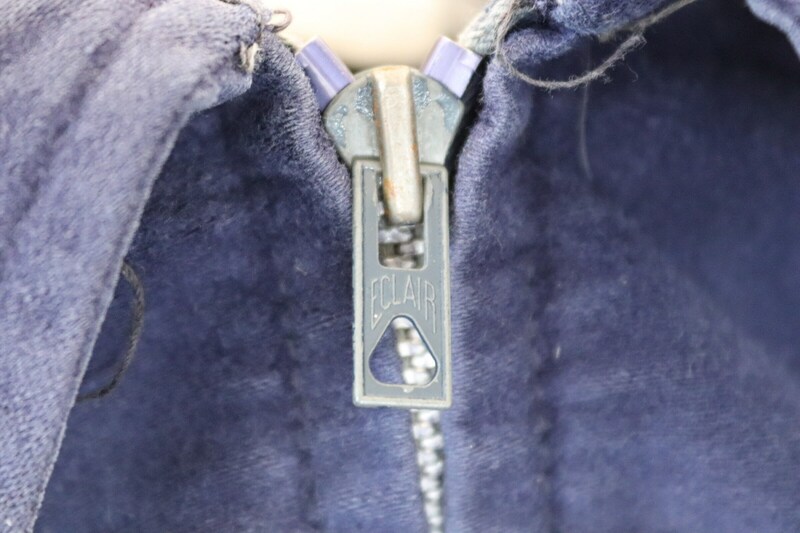 Zip up, curved collars, soft moleskin fabric, Eclair zipper runs smoothly, great for reenactments or just wearing. 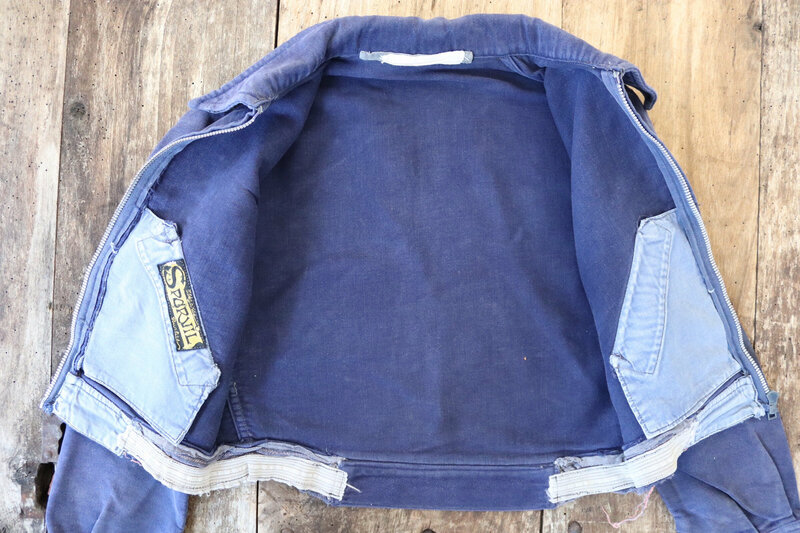 Suitable for ages 4-6, but please compare the measurements provided with an item of your child's that fits them well to ensure a good fit.